When Wayne Gretzky talks about hockey, it’s a good idea to listen. When Colin Powell, writes about leadership, pay attention. And when Charles Spurgeon teaches on preaching, take notes. I’m gearing up for another year of training preachers at Heritage. I have the joy of teaching Homiletics at the school, training those who will teach and preach in the years to come. My desire is to help them learn to preach “from the Scriptures to the heart.” So as part of my preparation, I’ve been spending time learning from a master preacher: Charles Spurgeon. Spurgeon, who is often called “the prince of preachers”, was the pastor at the Metropolitan Tabernacle in London from for almost forty years (1853 – 1892). Thousands came each week to listen as he skillfully and passionately preached God’s Word. 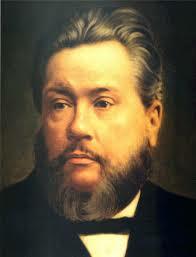 Not only was he a powerful preacher, Spurgeon was also a great teacher of preachers. He started a Pastors’ College to train other gospel ministers. What he taught his students over a century ago is still material I want to pass along to my students. Here is some of Spurgeon’s advice to preachers as recorded in Tom Nettle’s new biography on Spurgeon (Living By Revealed Truth). I’d ask you to pray for your pastor as he has the privilege and responsibility of preaching God’s Word. Please pray for me as I regularly preach God’s Word and seek to train students at Heritage to become faithful, earnest and courageous preachers.